Prints, Drawings and Installations. The works take on contemporary Human Rights Issues through interesting formats and uses of media. Page from the book "Reveries of an Engaged Girl". 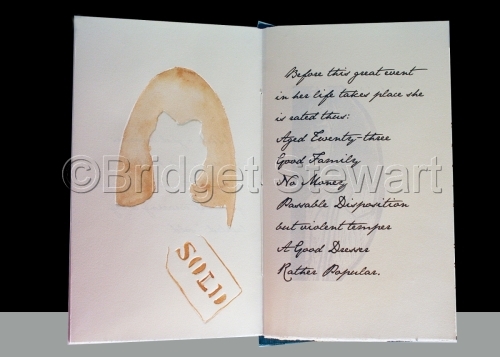 One of 5 books in Set of books based on the journal of Odelia Borey; the great great aunt of the artist Images by Bridget Stewart. 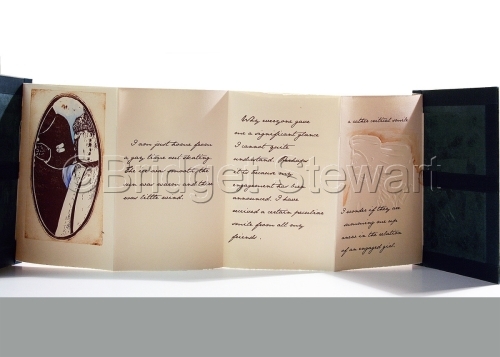 Edition of 5 of Box Set. 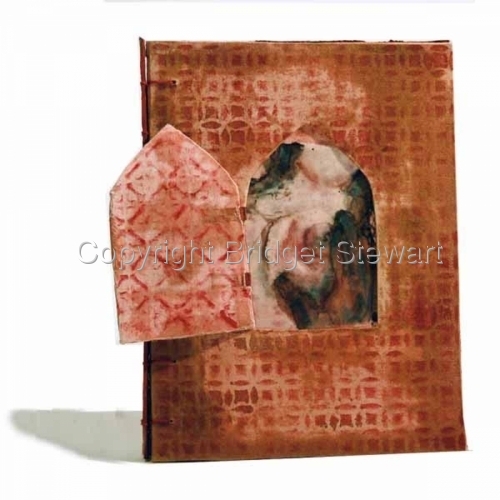 Wood Cover with collage and carving for the book Reliquaries for the Mothers. 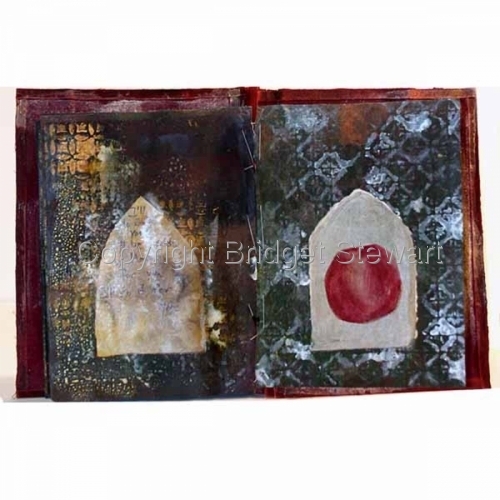 Pages in French-Stitched Book with wooden cover entitled Reliquaries for the Mother. 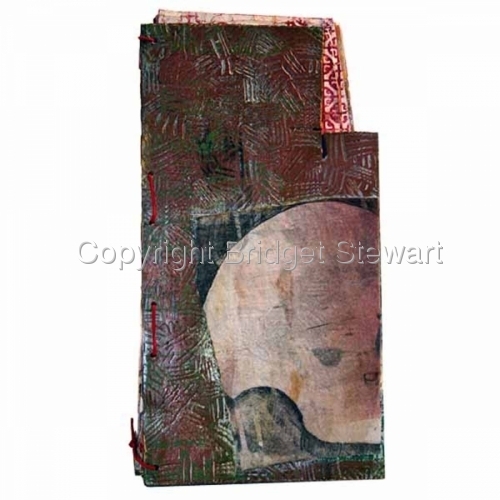 No Text, just images collaged, painted and transferred onto paper with a printed and stitched muslin backing. Cover for the hardcovered book entitled Song of Solomon. 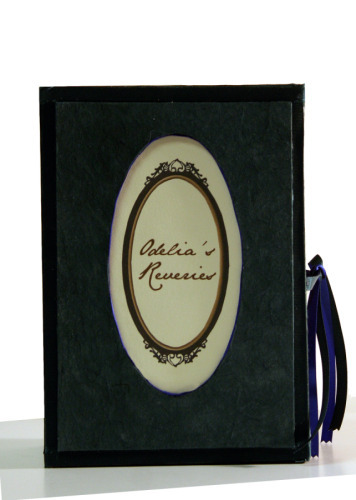 This book uses the Secret Belgian Stitching method with a decorative window. Pages for the book: Song of Solomon. 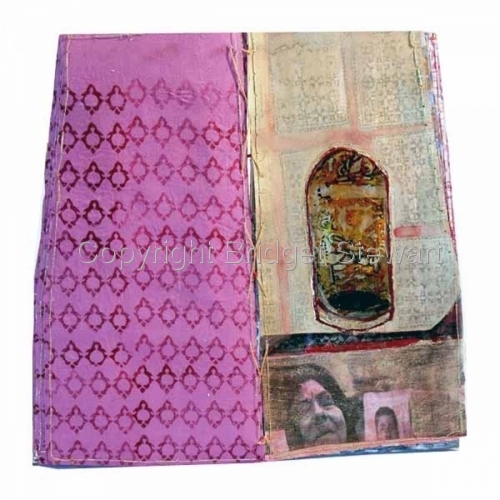 Handwritten text, printing, collage, beeswax on muslin.